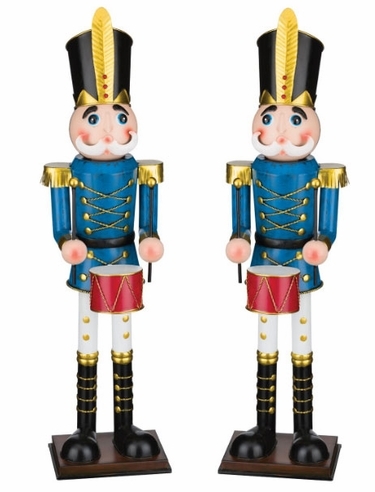 March directly into this holiday season with the traditional design of our favorite 19" Christmas Toy Soldiers with Classic Blue Jackets and Drums! Featuring impressive craftsmanship with meticulous attention to detail and unique metal finish. Showcase two or more together in red, blue and green colors for added charm.